THE A-LIST 2018 Meet & Greet from AUGUSTMAN on Vimeo. Earlier this year we called for nominees for the 2018 AUGUSTMAN A-List campaign, and you answered. Rather overwhelmingly, too. Every year the list of nominees grows and it gets tougher to select finalists. For those of you who are unaware, the A-List is a group of hand-picked gentlemen who embody the three defining characteristics of the Augustman: Style, Substance, and Success. Every year before we admit finalists into the A-List, we hold a meet and greet session to get to know the nominees better and more importantly, find out which ones are best suited for the campaign. 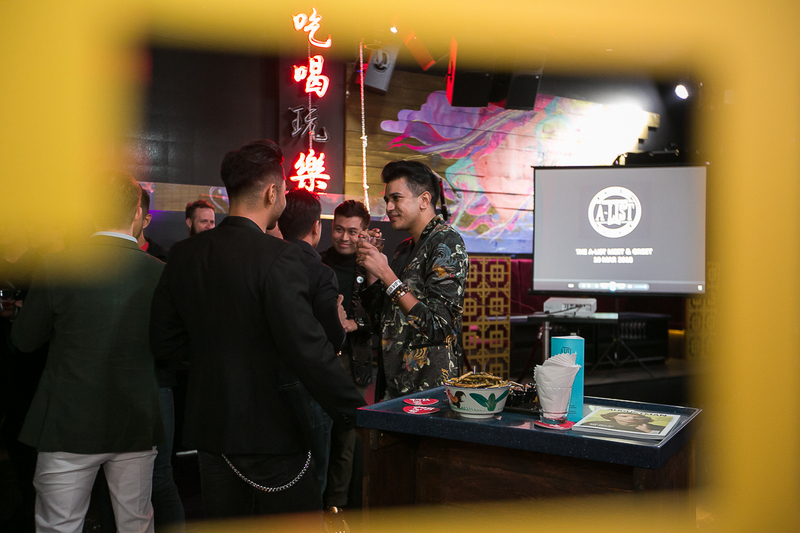 This year, the session was held at Wan, one of Singapore’s most premium nightclubs, situated in the heart of Suntec City. The nominees started trickling in at around 8pm, and by half an hour later there was barely any space to move around. Here at Augustman, we believe good whisky makes for great conversation, so the guests for the evening had a choice between The Macallan Fine Oak or The Macallan Double Cask. When they registered, each of the nominees and their guests received a token as part of a game for the evening. The goal was to get another guest to say the word “work” while conversing with them. If they’re successful, the other guest would have to surrender their token. The person who had the most tokens at the end of the night won the game, and a 3-month Triplefit membership worth $600. Needless to say, the competition was stiff, and some of the tactics used by the guests were eyebrow-raising, to say the least. All in all it was good fun, and everyone got to know each other a little better. While the festivities happened, the nominees were also individually pulled aside to do a quick video interview so we could pick their brains about their personalities, views on philosophy and current events. We always look forward to this part of the process because the responses tell us a lot about the nominees. Nothing like a bright light and a camera in the face to get a man to spill his guts. In all seriousness though, we were impressed with many of the nominees’ responses this year. Most were calm and took to being in front of the camera like duck to water. We’re definitely in for an interesting campaign this year. Next up on the A-List calendar is our annual photo shoot. The gents will need to bring their A game, and channel their inner David Gandy for the event. Stay tuned for updates on that.